All Terrell Hills homes currently listed for sale in Terrell Hills as of 04/22/2019 are shown below. You can change the search criteria at any time by pressing the 'Change Search' button below. If you have any questions or you would like more information about any Terrell Hills homes for sale or other Terrell Hills real estate, please contact us and one of our knowledgeable Terrell Hills REALTORS® would be pleased to assist you. 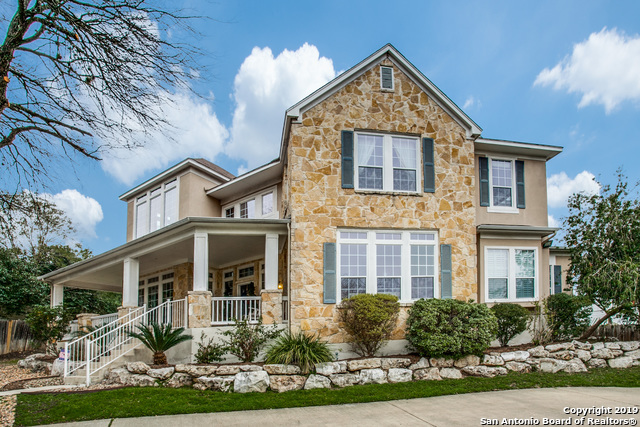 "Set on a hill in Terrell Hills w/ awesome indoor & outdoor spaces.Multiple living areas, front & back staircases, & unique accents throughout. 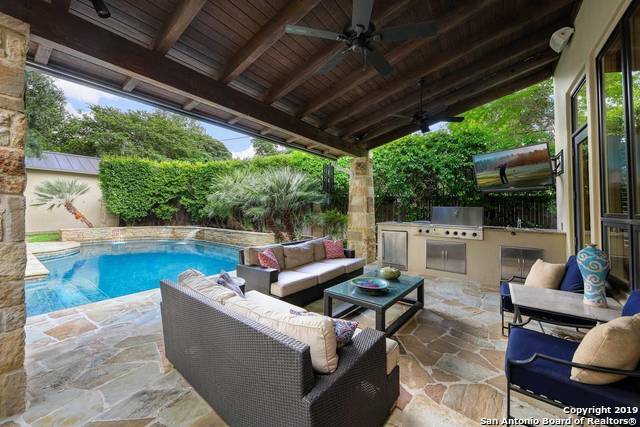 Kitchen w/large central island w/room for seating looks to the outdoor liv rm & pool. Master down w/sitting area, fireplace, luxurious bath & large walk-in closet. 2 half BA down. 3 BR upstairs, 1 w/office area & hall bath. 2 other BR share a Jack & Jill BA & have their own walk-in closets. Upstairs playroom w/balcony. 2 story guest house. New Roof"
"Custom designed Terrell Hill home w/master up or down, 5 BR, 5B, 5 plank pecan floors down, custom designed maple cabinetry, drawers, bookcases, built-ins, interior doors, window frames, over sized gourmet kitchen w/2 refrigerators, 2 dishwashers, Thermador hood & 48 6 burner gas stove w/ grill & 2 ovens, spacious island, Pella windows w/retractable screens, master bath w/glass vessel sinks, custom stone counter & upgraded Jacuzzi 2 seat tub. Many more custom details. See list in additional info"
"You need to see this home and feel the openness to really appreciate it. Previously updated, the home provides lots of natural light. Great view of the pool from both the living room and game room. Master suite is downstairs and includes an exercise room and an exquisite master bath. The island kitchen has gas cooktop, breakfast bar and ample counter, and cabinet space. Call and make your appointment to view today." 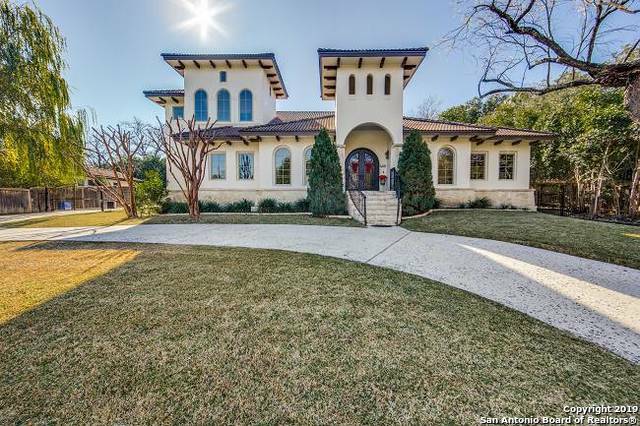 "High ceilings abound in this 2008 Adam Michaels built home. Down stairs master features double vanities and whirlpool garden tub. Gourmet Kitchen is open to main living area featuring stainless steel appliances and Jenair gas range. Upstairs features two bedrooms with living area and jack and jill bathroom. Attached mother-in-law/Guest suite features full kitchen, living area and large bedroom. Double pained windows throughout provide substantial energy savings." "Cheerful & welcoming Terrell Hills home w/open floor plan & flexible bedroom spaces. Master area utilizes two main level bedrooms providing ample space for additional dressing area & closet. 3rd bedroom ideal for guest on main level. Floor-to-ceiling Pella sliding glass doors connect family room w/exterior, providing complete views of yard. Warm & welcoming kitchen - SS appliances, granite counters & large island - great for serving meals or doing homework. 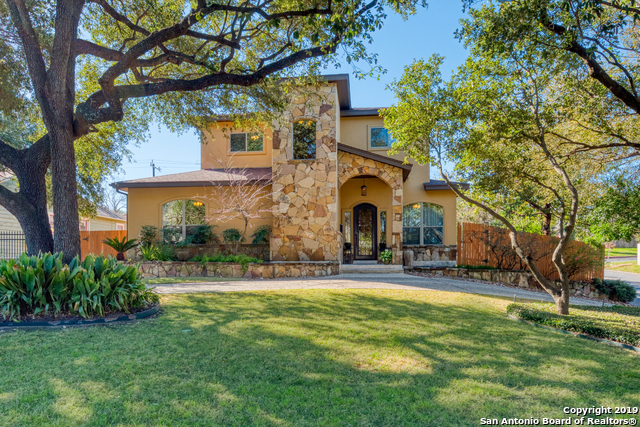 Established trees anchor this "
"Beautiful 4/3.5/2 executive home in desirable Terrill Hills. Spacious family home offers wood and tile floors, relaxing sunroom, den, two living areas, formal dining, eat in kitchen, great island, dbl ovens, second floor tv/game area, Master retreat with office, huge walk in closet, dream bathroom with garden tub and separate shower, sprinkler system, 3 HVAC systems,. Beautiful back yard with pool and a partially finished 500sq.' cabana (not included in total sq.') 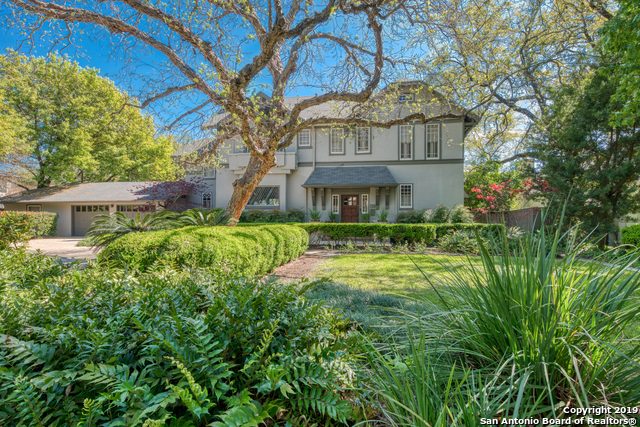 could be maid/guest quarters"
"Stunning home in the heart of Terrell Hills! Contemporary 6 bdrm/5.5 bath custom home features bright open floor plan & 2 master bdrms on main, perfect for mother-in-law suite. 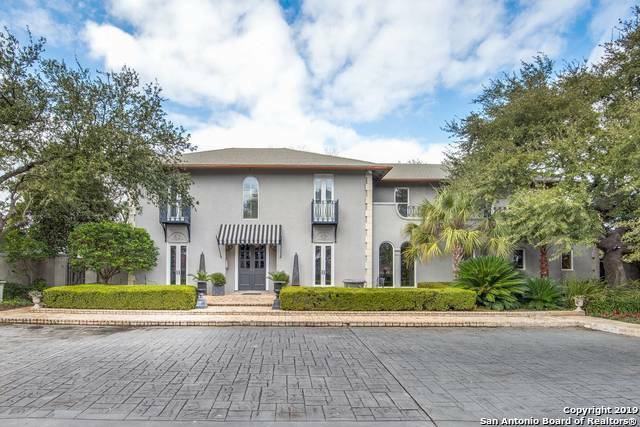 Enjoy the custom front door, gleaming marble porcelain tile floors, ultra-modern kitchen w/double ovens, 2 dishwashers, custom cabinetry & oversized laundry rm. Lovely brkfast rm overlooks expansive, private backyard. 4 bdrms up + flex rm for office/playrm. 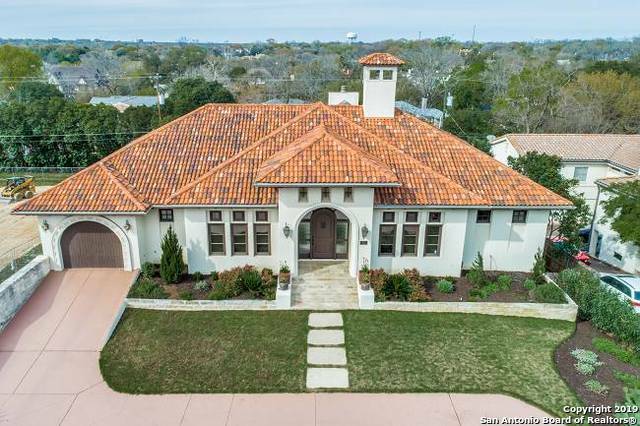 Hard to find all these impressive features under $1M in the tri-c"
"Terrell Hills 2-Story Mediterranean home sits on a quiet street with private backyard. 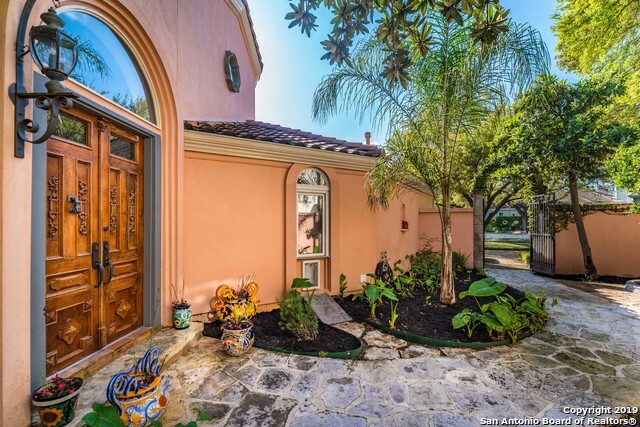 A Beautiful wrought iron gate opens into a courtyard which leads to the front door. 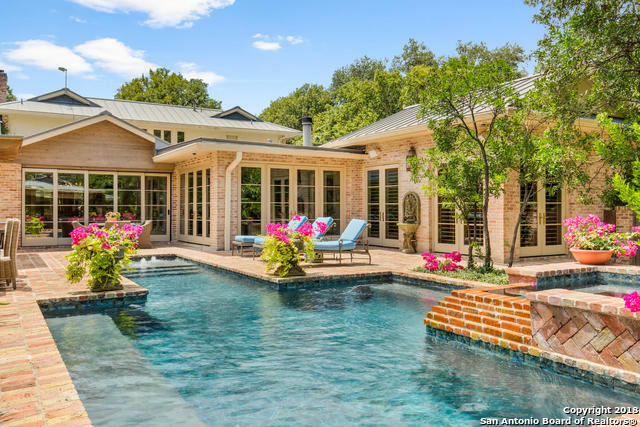 The front door is carved wood & opens to a 2-story great room with sky lights, fireplace, floor to ceiling windows & a wet bar with marble counters. Beautiful natural lighting throughout the home." "Terrific floor plan for a large family. Soaring ceiling bright open space. Formal living separate dining w/hardwood floors, huge family room w/ fire place opens to covered porch & sparkling pool. Lg nicely appointed open island kitchen for family & friends features Granite counters/SS appliances. 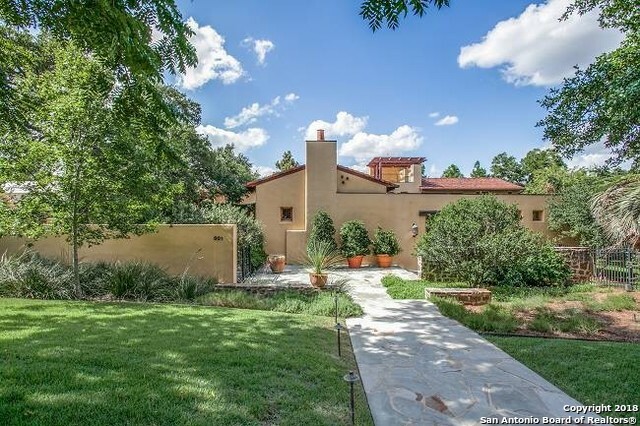 Master down w/ ample closets & spa bath +bedroom/study office also down. Game room up with balcony access/4 additional bedrooms & 2 full baths + Laundry rm up. Nice views of downtown from the second flo"
"Thoughtful upgrades combined with original characteristics and charm are what set this Terrell Hills home apart! The light filled floor plan is spacious and accommodating and includes a large modern kitchen, two generous living areas, 3 bedrooms and 3 full baths. The master suite is enormous and includes access to the laundry room through the walk in closet! The detached garage includes room for parking and storage and includes an addition that could be used as an office, exercise room or studio"
"Lovely 2605sqft one story home in coveted Terrell Hills neighborhood. 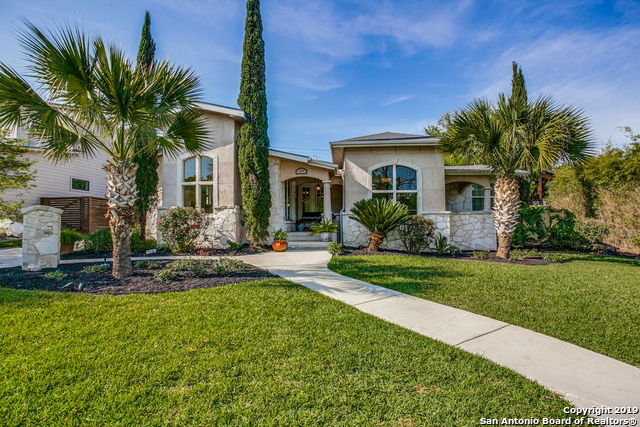 Gorgeous corner lot (.44 acre). 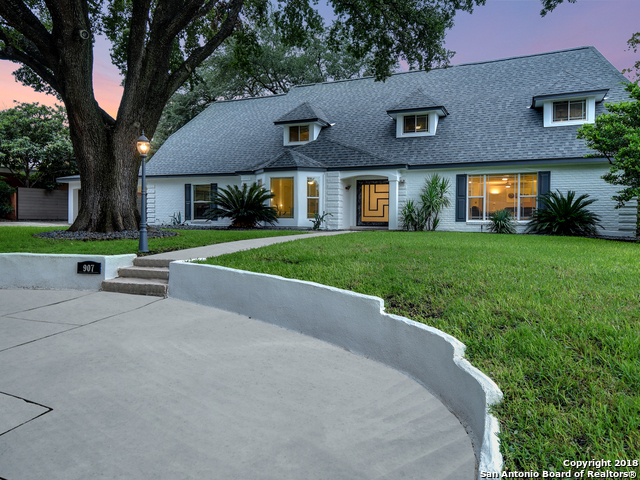 Great curb appeal with mature trees & circular drive. Large master with beautiful windows, plantation shutters. Cozy two living areas, double sided fireplace & original wood floors. Remodeled kitchen with granite countertops, built in ovens and upgraded sink. Large kitchenette with bench sitting surrounded by exquisite windows. Large office/study that opens to the backyard. Renovated shed. 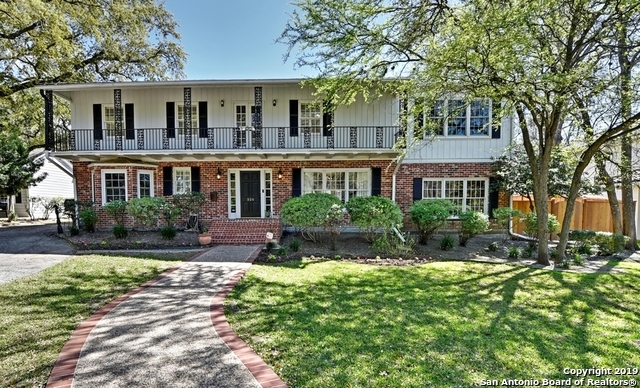 Alamo"
"IMMACULATELY renovated home built in 1949, located in desired Terrell Hills. Home offers open concept kitchen & living w/ access to large deck, perfect for entertaining. Beautiful ceramic tile & high end quartz countertops throughout. Kitchen offers ample cabinetry space & large island set up for gas cooking & family gatherings. Luxurious master suite is a must see. 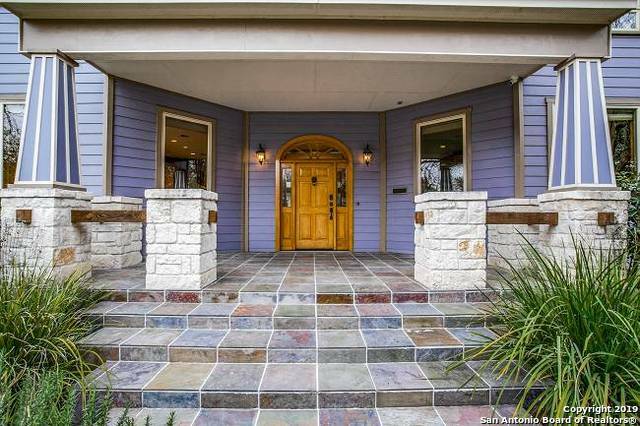 Double walk in shower with grand tile design & stand alone soak tub w/private access to expansive deck. 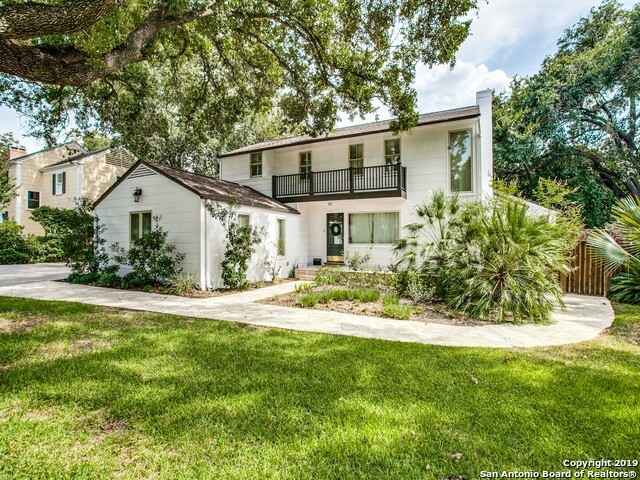 Large carport w/access to b"
"Are you looking for an amazingly updated home in the Alamo Heights School District? 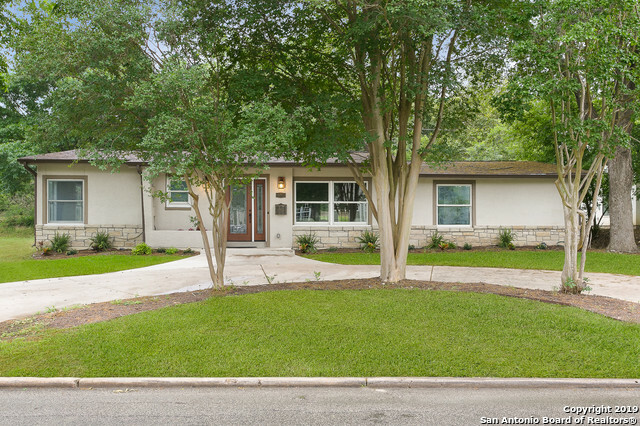 This stunningly updated Ranch style home is ready for its new owners. The Alaskan White granite counter tops and professional style gas stove give the kitchen extra flare. You will find unique step down properties throughout the home with custom finishes. The master retreat includes an amazing walk-in shower and oversized master closet! Large trees provide great shade. Be sure to check it out today!!" 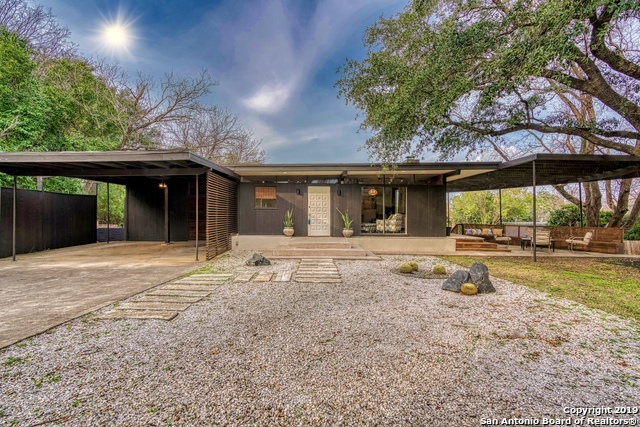 "PRIME LOCATION MID-CENTURY LOVER'S DREAM HOME! 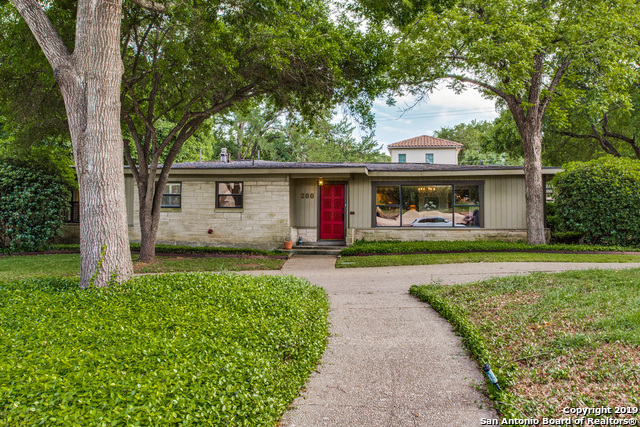 Great Investment Opportunity*1954 MID-CENTURY HOME*Notable Architecture & Outstanding Privacy Located In Terrell Hills*Highly Desirable Alamo Heights ISD. 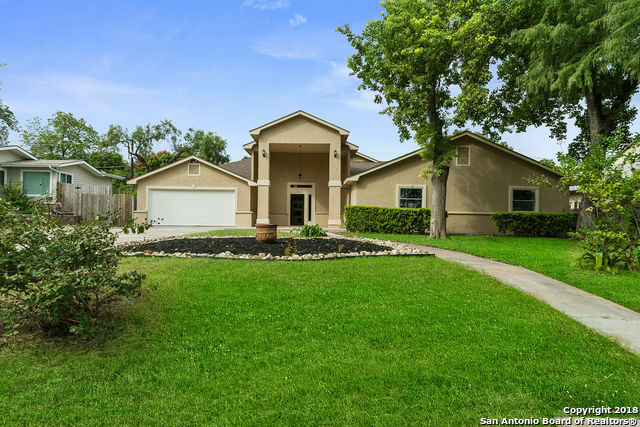 Set On an OVER-SIZED.37 ACRE LOT*Xeriscaping Design*Ample Parking*Mature Trees*OVERSIZED PICTURE WINDOWS*BEAUTIFUL HARDWOOD & TILE FLOORS*COLOR TRENDS of the 50's*Tiled Baths*OPEN KITCHEN*FLORIDA ROOM*COVER PATIO & A BALCONY Overlooking The Backyard Perfect for Entertaining! Welcome To HOME SWEET "
"Wonderful Terrell Hills home. 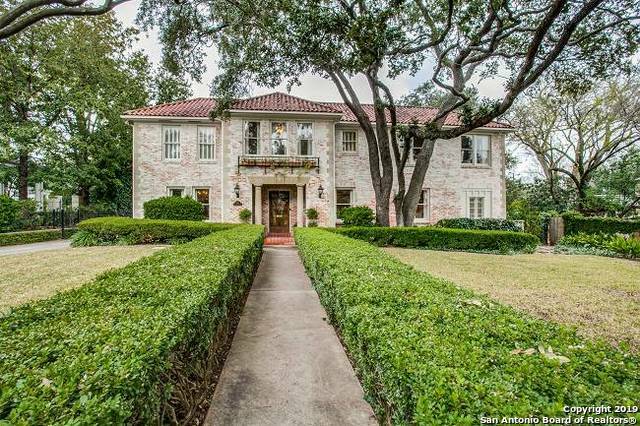 Property sits in Alamo Heights school district. In ground pool"
"Beautifully updated & spacious home located in Terrell Hills. 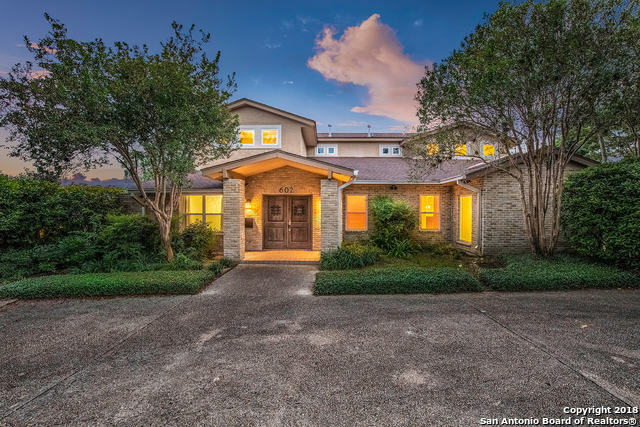 This four bedroom, 3 bath home features gorgeous wood floors, an open floor plan, two master suites, walk-in closet, granite counters in kitchen & baths, and a spacious backyard perfect for entertaining. The garage is oversized plus there is a large driveway for additional parking. Call today to preview this great home!"